So you’re traveling abroad to a non English-speaking country, and you have an English teaching job all lined up. Once you get settled into your new home, you’re thinking that your life will be pretty easy. After all, you’re an expert at speaking English — you’ve been doing it all your life! 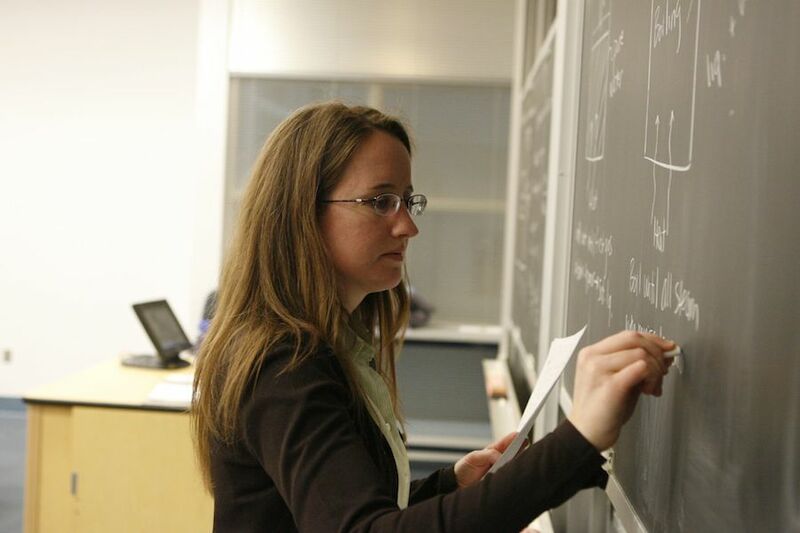 How hard can it be to teach? Surely, after the first couple lessons, you’ll get the hang of things quickly. And after a few hours of teaching each day, you’ll have plenty of free time to explore your new country and work on your own foreign language skills. Teaching English is a very challenging career choice. You’ll find yourself working long hours, not to mention the time you’ll spend outside of the classroom concocting detailed lesson plans. You’ll have to deal with students of different ages, learning styles, and levels of motivation. Even when you’re not at work, you’ll be thinking about your lessons, and what you can do to best help your students. For beginner English teachers who are expecting an easy job, this may come as a surprise. But as difficult as it is to be an English teacher, it’s also one of the most uniquely rewarding jobs you can find — just ask anybody who’s done it! 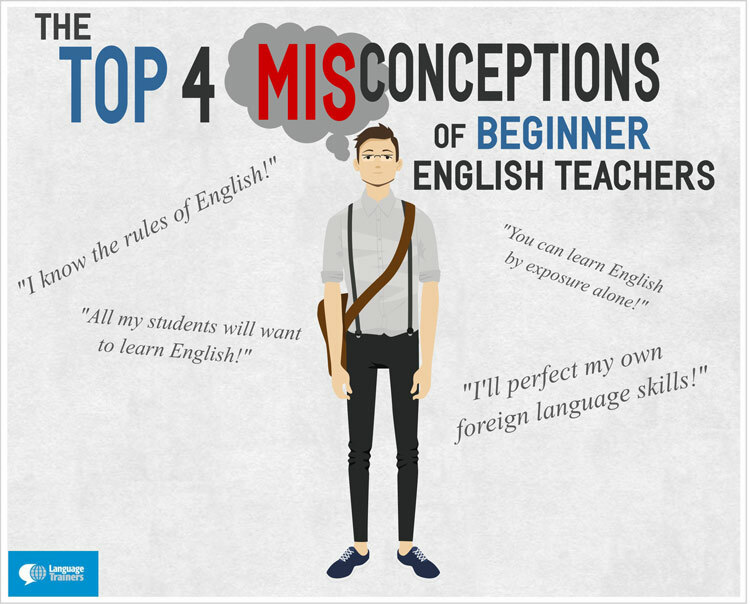 If you’re planning on teaching English abroad, or are interested by the prospect, read on to clear up some common misconceptions that novice English teachers often have. You’re a native speaker of English, so surely, at some point, you must have explicitly learned its grammar, vocabulary, and pronunciation — after all, you can understand and be understood by other English speakers perfectly. Unfortunately, this is not the case: you do not know English as well as you think. For instance, let’s take a look at a seemingly simple word: mitten. Say the word “mitten” out loud. What’s the sound in the middle of the word? If you’re like the vast majority of English speakers, you’ll say it’s a “t” sound. But say it aloud again, this time more slowly. Is it really a “t” sound? Is it the same as the “t” sound that you make in the word “table” or “teacher”? Indeed, the “t” sound in mitten and the “t” sound in teacher seem to have almost nothing in common! But do you remember consciously learning the rules for pronouncing words with the letter “t”? Probably not. Let’s consider another example. Any English speaker will agree that the subject of the photograph above is a big brown dog. But what if I were to call it a brown big dog? I’m not incorrect, per se, but I certainly don’t sound like a native speaker. In the same vein, we can talk about several small fancy blue vases, but we can’t talk about fancy blue small several vases. This is intuitive to you as a native speaker — but do you remember learning this? Can you explain why? Indeed, as native speakers, we have a special privilege: as children, we simply acquired our language skills. We did not have to consciously learn how to speak English; rather, with our flexible and magical toddler brains, we just picked it up. As a result, it can be very challenging for us to explain basic concepts — like pronouncing the word “mitten” or selecting the proper order of adjectives — as we never had to learn them explicitly. Indeed, to be a successful English teacher, you must undergo a great deal of self-reflection in order to make explicit the linguistic features of English that you learned implicitly. This is a misconception that teachers and learners alike often believe: if you simply spend enough time being exposed to a language, you’ll eventually learn it. That is, even if you don’t spend very much time actually teaching your students, if you just show them enough episodes of Friends, they’ll acquire all of the grammatical intricacies of English. This belief likely stems from the fact that — as discussed above — this is exactly the way that we learned language when we were children: we simply spent time with native speakers, and absorbed their knowledge until we became full-fledged native speakers. But the process of learning a second language is quite different. After age ten or so, we are no longer able to simply acquire a language by being exposed to it; rather, we need to consciously study it, paying close attention to its grammar and memorizing its vocabulary. Indeed, while showing your students authentic material (such as excerpts from Friends) can be a good class activity, you’ll have to make sure that you follow it up with well-planned language-learning activities so that they can extract new skills from the lesson. Many novice teachers assume that their students will be self-motivated: if they’re taking time out of their day to take English classes, they surely must want to learn English. This would be ideal, as motivated students make the best learners! Unfortunately, this is not necessarily the case. Indeed, especially if you are teaching business English, many of your students will be taking English classes because their job requires it of them. As a result, they may be unenthusiastic or even resentful that they are being forced to attend classes that they never wanted to take in the first place. Further, if you’re teaching classes at your students’ workplace, they may consider English class to be a time to relax and blow off some steam — a break from the hustle and bustle of the workday. But if you want your students to make progress, you’ll have to make sure that they apply themselves, even if they’d rather be slacking off in the break room. When you live in a foreign language-speaking country, it’s easy to trick yourself into thinking that you’ll quickly learn the language. 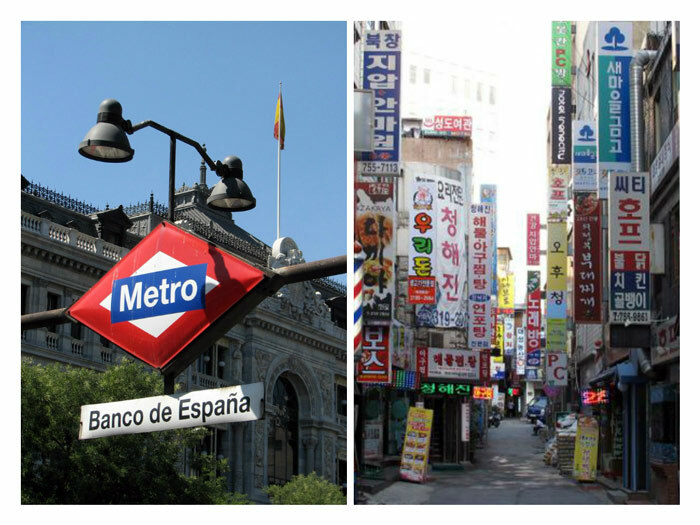 Yes, it’s hard to imagine living in Madrid without speaking Spanish, or living in Seoul without speaking Korean. But think about your day-to-day life as an English teacher. At work, you’ll be speaking in English to your students. Outside of work, you’ll spend a great deal of time planning English-language lessons. And when you return home after a long day of planning and teaching, you’ll be exhausted, and cracking open a Korean grammar book or listening to a Spanish podcast will be the furthest thing from your mind. If you’re serious about improving your language skills, you’ll have to be proactive about it. Load up your iPod with foreign-language songs to listen to on the way to and from class. And make a point not to speak in English outside of work, even with your English-speaking friends. As you can see, being an English teacher is not as glamorous as it might appear! But now that we’ve cleared up some misconceptions that English teachers have, there’s one thing that all English teachers will agree on: it’s one of the most unique and rewarding jobs out there. In no other job do you get to know your students on such a personal level, and feel confident that you’re really making a positive difference in someone else’s life. Yes, all of the struggle and frustration pays off when you — and your students — realize just how much progress you’ve made together. Paul writes on behalf of Language Trainers, a language tutoring service offering personalized course packages to individuals and groups. Check out their free online level tests and other resources on their website or send them a quick inquiry to find out more about their tailor-made lesson plans. Well, I perfected my English by exposure alone. You know what kind of English learning you can find in Ukrainian schools? But after reading a lot (mainly TV Tropes) and listening a lot (mainly Get Smart and I Dream of Jeannie) my English level started to improve. So, if not count my atrocious pronunciation, I’m quite decent in English. Corollary: you can master the language by exposure alone. I have been teaching English for 5 years now, and I definitely don’t know all the grammar rules. But, now, because of my experience I am able to find ways of explaining things to my students usually with examples… and there is nothing worse than a student who doesn’t want to learn! I don’t think that people who learn second languages by exposure are exceptional, but rather the rule. Don’t ignore the Input Hypothesis. English teachers for the beginners exploring the best part in doing the potential approaches in every possible manner. in order to get the best productive plus possible approaches in precise manner before mentioned guidelines are the key approaches in making the functional action plan smoother to al. in that case this is a best parameter to make the move functional for all the issues to take the process prominent.